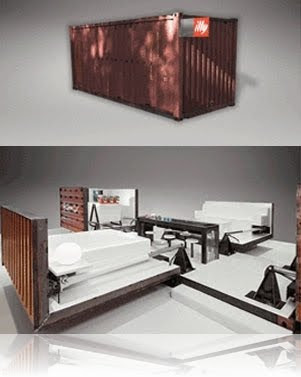 In an era of growing consciousness about the environment, Italian coffee company illycaffè is ready to awaken New Yorkers to the beauty of the eco-friendly “Push Button House.” With the push of a button, a seemingly standard industry shipping container transforms into a five-room home. Created from recycled and recyclable materials, the modern marvel – to be located in the convenient Meatpacking District – will offer the ideal spot for Festival goers to meet up with friends to sample the world’s finest coffee and sweet treats, take a guided tour of the house with its architect, Adam Kalkin and Andrea Illy, or simply relax. The illy Push Button House will be open during the New York City Food and Wine Festival, starting this Friday 10.9 from 6pm to 11pm. It will remain open during the weekend for the whole day.